It’s that time of year again! For me, Christmas is my favorite time of year. The only part I don’t like so much is wondering what gifts to give people. Fortunately, it’s much easier buying gifts for my dogs. 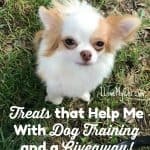 This gift guide will give you some ideas of what to get for your pupsters and for anyone on your list who is a dog person. You might even find something to get for yourself too! 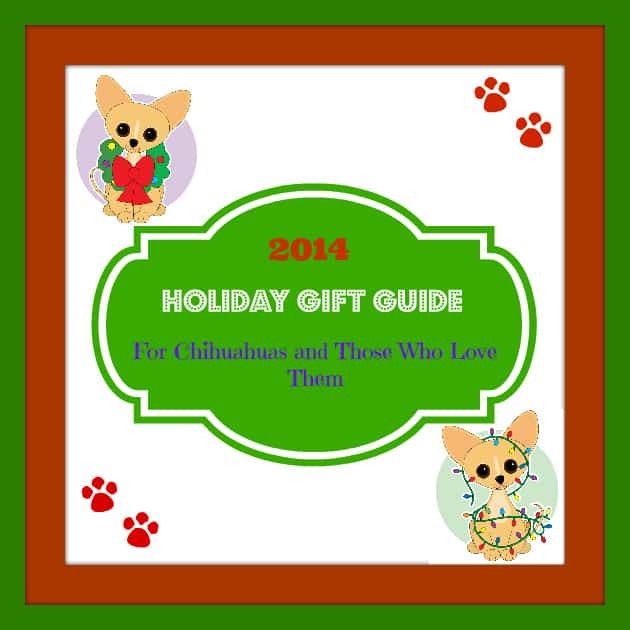 First I’m going to share what is sure to be your dog’s favorite category of gifts which is toys and treats! If you have never tried one of these with your dog, you are in for a treat. Literally. These toys are fun to chew on by themselves. They bob around too with their interesting shape. But what makes them special is that you can put small treats or peanut butter in them. 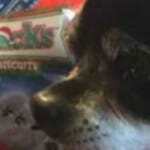 Your dog will have hours of fun trying to get the treats out. These toys are great to give your dog when you leave the house for awhile. It will keep him entertained so that he barely notices you have left. Another benefit is they are really durable. My dogs have had theirs for about 5 years and they are stilling going strong. 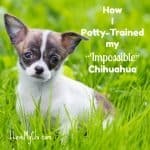 This is a an all time favorite for dogs and pet parents alike. 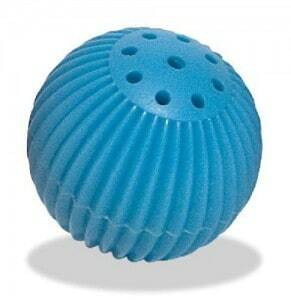 Dogs love playing with this thing. As soon as the ball is touched, it starts babbling silly phrases. It will turn itself off when not played with. It’s made of a durable hard plastic. 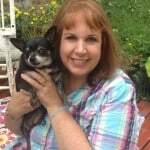 These great little treats are Chihuahua sized and only have 1 and a half calories. 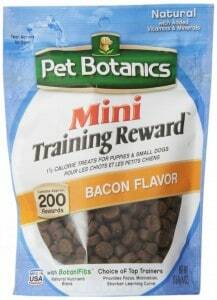 They come in bacon flavor or chicken flavor and are made in the USA. 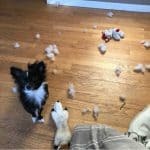 You get not one toy, but all 3 toys for your Chi! 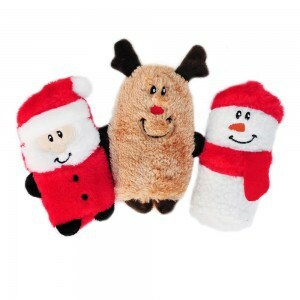 They don’t have stuffing in them but do have a squeaker. 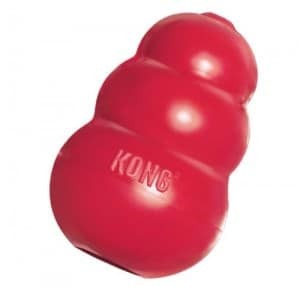 If you have a chewer in your house, this is a great toy to keep them entertained. 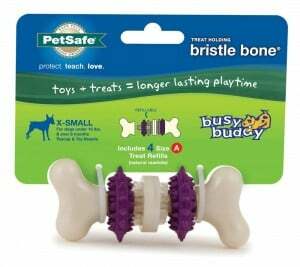 I gave one of these to my grand-puppy who loves to chew and he plays with this all the time. It’s been really durable too. As a plus, it helps keep your dog’s teeth clean. 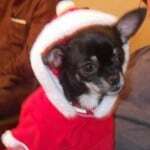 Next we have clothes for your Chihuahhua. This adorable coat also looks like a dress! 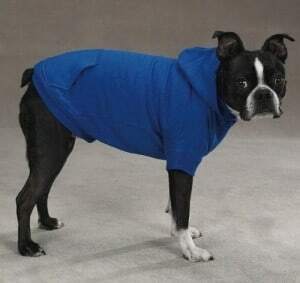 Soft and warm, it has a hood and comes in lots of sizes including extra extra small! Order this early as several customers said it took a few weeks to get there but the upside is the shipping is free. 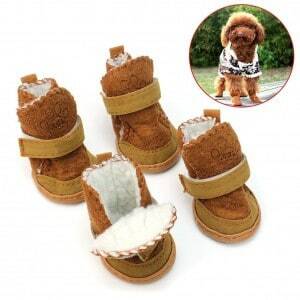 These soft warm boots will keep your Chi’s paws warm and toasty this winter. This sweatshirt hoodie comes in lots of different colors and sizes. Customers stated that it held up well and felt like the same sweatshirt material that people sweatshirts are made of. Now, lets look at some neat things for your dog. What I love about this car seat is that it sits up high so your pup can see out the window and enjoy the view. I also like that the liner is washable. 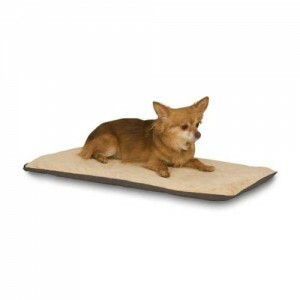 Great for Chis, this heating pad will keep your chilly pup nice and warm. The cover can be washed too. Soft and comfortable for your pup, this harness is a much better choice than using just a collar to attach a leash on when walking your chi. 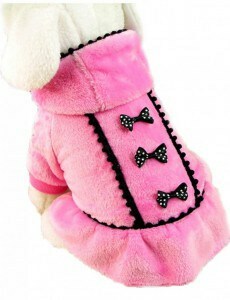 The harness has reflective piping that will make her more noticeable when walking at night. These stairs have been one of the best buys I have ever made. 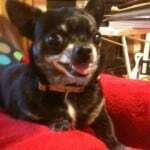 I was so tired of having my chi wake me up in the night to pick her up and put her on the bed. I sleep a lot better now and she gets up and down off the bed on her own. 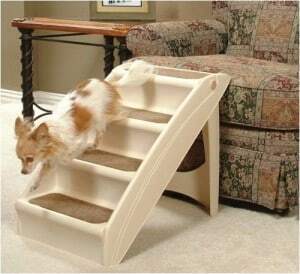 Some pet parents use these by their couches so their dog can get up and down more easily. 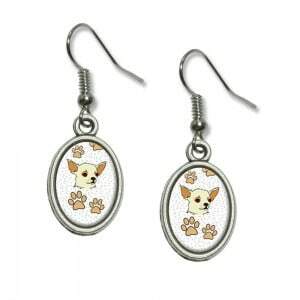 After several people have written to me to tell me how their Chihuahua was injured while jumping off the couch, I can see why these are such lifesavers! Does your dog have his own stocking? 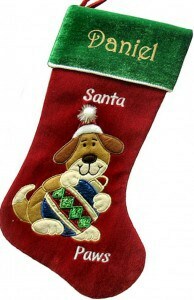 Now you can get this adorable stocking with free personalization for your pup! 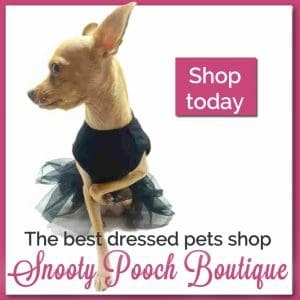 It would also make a cute gift for the dog lover in your life. 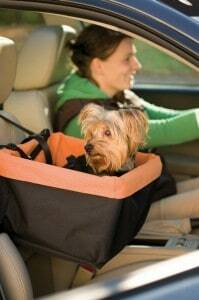 Last but not least, we have gifts for you, the pet-parent. Wow, what a great idea! 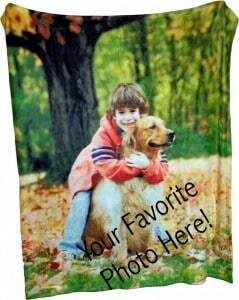 Now you can use your favorite photo of your fur-kid as a special blanket. This is also a great gift idea for grandparents with their grandkids’ photo, or as a gift for anyone who has a special memory they would enjoy seeing made into a blanket. If you prefer the dangly type of earrings over stud earrings, you will love these pretty earrings! Well that’s it for the 2014 gift guide. 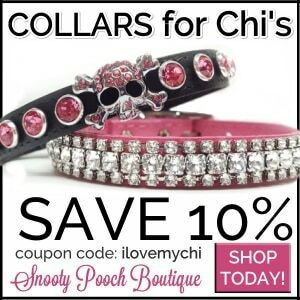 Hope you found some great gift ideas for your dog, your dog loving friends or even yourself! Leave me a comment and let me know which one is your favorite. I love all them! The earing my favorite and the dog Burroughs bed! Again Merry Christmas to you and yours!